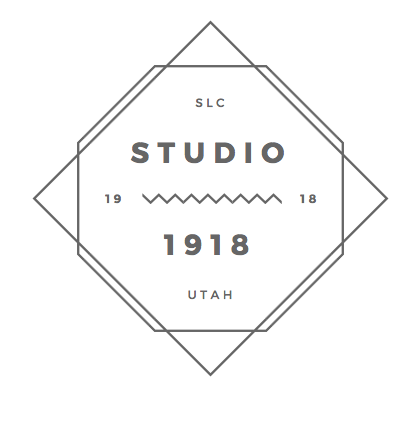 1) We offer rental space in Studio 1918 which is a creative space in Salt Lake City for photographers and creators to work in. 2) All studio time is agreed via digital contract with a one-hour minimum rental period. 3) You are welcome to bring any gear or supplies you need during your creative space usage. 4) Renter agrees to restore the cleanliness of the studio after using the space. No glitter, wall nails, or any other property-damaging equipment is permitted in the studio. Any stolen or damaged property will be added as additional charges to the renter. 5) Any items left in the studio after your agreed time slot will result in a $50.00 fee and must be picked up by the owner within 24 hours. 6) Studio 1918 is not responsible for any injuries or incidents that may occur inside of the studio for the renter or the renter’s party. 7) Payment is due at booking to hold your time slot. 30% is nonrefundable if canceled less then 48 hours before the time slot. If canceled before the 48 hours full amount can be transferred to a later date or refunded on hourly rentals. 8) For all day rentals, the Full amount is due at booking. 30% is non-refundable or transferable if canceled less then 2 weeks before. 50% is non-refundable or transferable if canceled less then 48 hours prior any amount over that can be transferred or refund. 9) Please clean up after yourself, and put things where you found them, if it’s not back in order and cleaned up there will be a $50 cleaning fee. The common shooting area has a security camera that is recording video and auto at all times. The recordings are for the owner of the space, and is only viewed by the owner for security purposes and are not public nor will the feed ever become public. The kitchenette area is not being recorded and can be used as a changing room, along with the common area bathroom. Please do not touch or block the view of the camera unless previously discussed with me if a client is uncomfortable and is doing an intimate session I can make exceptions. 10) If you go more then 5 minutes over your time slots or arrive more then 5 minutes early for your time slot you could potentially interfere with other renters. The amount of time being used before or after their time slot will be invoiced and need to be paid within 24 hours. Signing this contract binds both parties to agreed terms. No other agreements will be valid without written consent from both parties.